O’Neill’s Irish pubs and Ballymaloe Relish have cemented their five year relationship further and are delighted to announce that Ballymaloe Relish is now available for customers to buy in O’Neill’s Irish pubs across the UK. 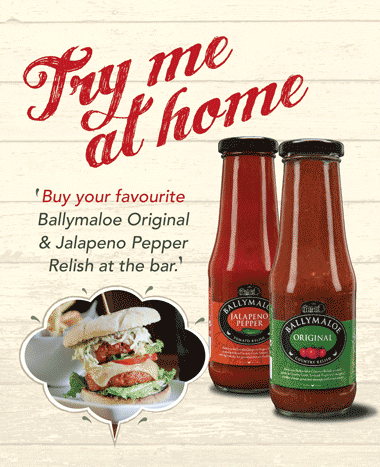 O’Neill’s serve Ballymaloe Relish as a table condiment, as well as on several dishes and due to increasing customer demand for the product are now offering customers the chance to buy a bottle of the famous Irish relish to take away. There are 49 O’Neill’s Irish pubs spread across the UK, from Aberdeen down to Bournemouth, with 14 within the M25 motorway around London.